This course is conducted in a classroom and may include a Range facility. NRA Chief Range Safety Officer candidates will learn how to teach the roles and responsibilities of an RSO; Range Standard Operating Procedures (SOPs); range inspection; range rules; range briefings; emergency procedures; and firearm stoppages and malfunctions. 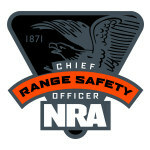 Each Chief Range Safety Officer Candidate will receive a Chief RSO Instructor Manual, an RSO Student Manual, Basic Firearm Training Program brochure, an NRA Gun Safety Rules brochure, an Instructor Application/Course Evaluation form. 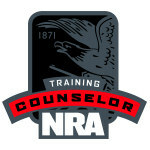 Chief Range Safety Office is an Instructor rating, so you must be a current certified NRA Range Safety Officer and also must have had Basic Instructor Training within the last 2 years if the BIT is not included in this course.